Yeah! pgModeler 0.9.2-alpha1 is ready bringing lots of news! 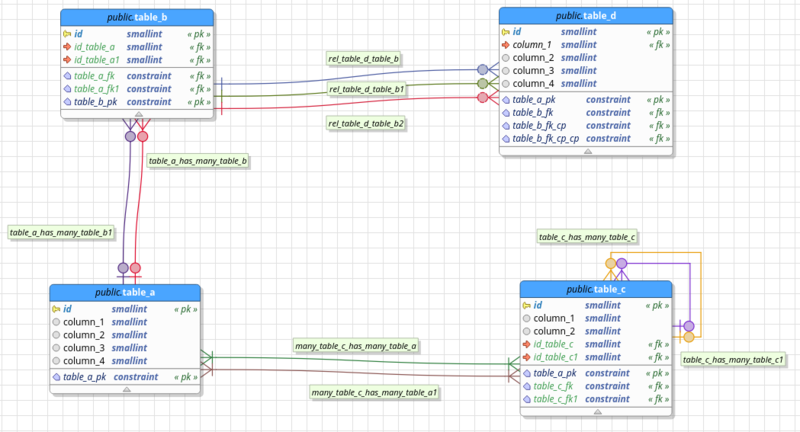 Table partitioning, canvas layers, view's columns and much more. Finally, after four months, we have a new version out of the oven! This one has A LOT of changes that range from several code refactoring and performance improvements to the introduction of new interesting features like table partitioning and canvas layers. First, let's talk about the changes and improvements. 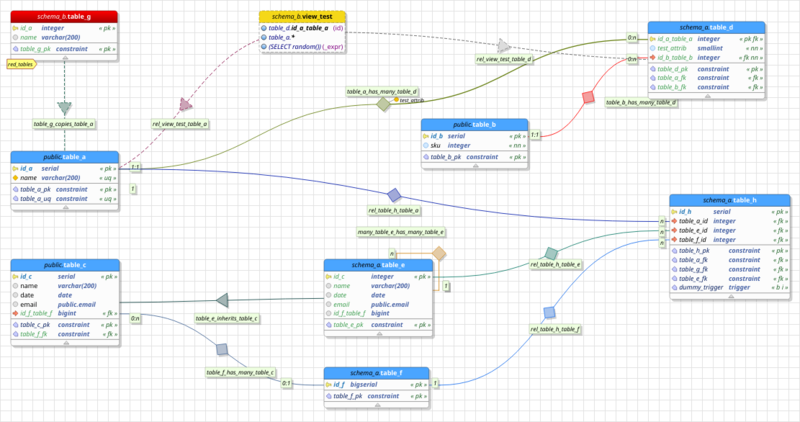 The objects drawing operations received a good set of patches making it a bit faster and less memory consuming. The overall performance of the reverse engineering was improved which, in consequence, have enhanced the diff process performance as well. In the new features side, we added scene layers which goals is to introduce a new level of visual segmentation of graphical objects. Another new feature created is the support to view columns that are deduced from the relationships between these objects and the tables. 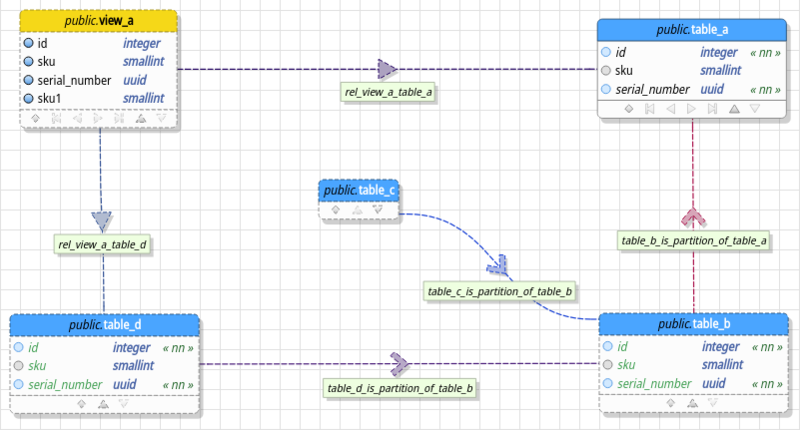 In the design view, in order to be more close to the new features introduced by PostgreSQL 10+, pgModeler is now capable of handling declarative table partitioning. Besides, tables and views can have their attributes paginated or even collapsed to minimize the area occupied by them making big objects easier to visualize. Finally, about the bug fixes, several crashes were eliminated making the tool more stable for different usages, the reverse engineering received some patches so it can import correctly user-defined types in form of arrays and many others. This post will try to explain some of these changes and new features in details. Check it out! This release was meant to be the final 0.9.0 but due to the several changes, bug fixes and new features introduced it was more prudent to bring it as the second beta instead of the stable version so we could gather as many as possible feedbacks and fix any remaining issue in order to finally launch the pgModeler 0.9.0 stable. The new pgModeler brings lots of new features mainly related to the database modeling, but there are several changes and fixes in other areas of the software that will make it even more reliable and easy to use.